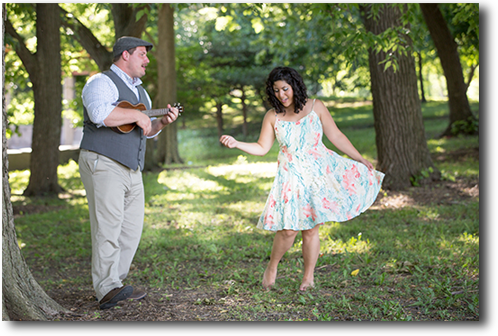 You will be strumming and singing from the first night of the Friendly beginning ukulele class! Learn your favorite songs, from traditional folk tunes to contemporary pop and rock, while mastering basic chord progressions and strumming patterns. This class is open to adults and families with children ages 7 and up - everyone can learn to play the ukulele! No jamming experience is necessary for this intensive but fun class. 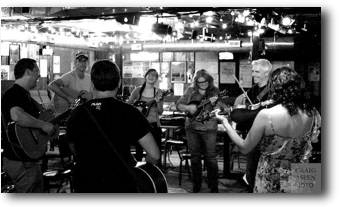 It is open to all bluegrass instruments - guitar, bass, fiddle, mandolin, banjo, dobro, and vocals - and helps you work together with your classmates in leading songs, improvising, singing harmony, comping, and developing your bluegrass repertoire. You will be jamming from the beginning of the first class! Register through the link below. 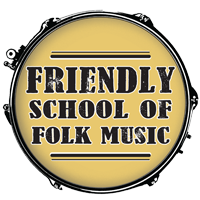 In the Friendly School’s Introduction to Fingerstyle Guitar class, you will learn how to develop a solid right hand technique for playing fingerstyle guitar and how to link chords together to play an entire song using fingerstyle technique. You will learn picking patterns that can be used in many styles of music, and we will explore how to use these patterns in two particular songs. 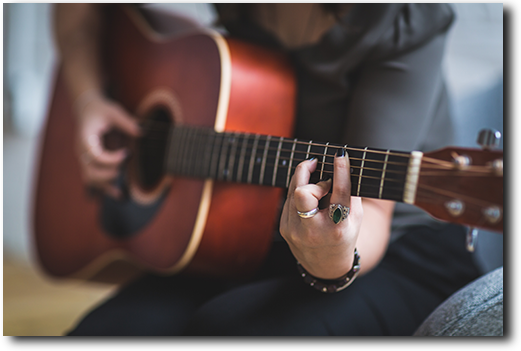 To get the most out of this class, you should be comfortable with open chords and basic minor barre chords. Feel free to bring a recording device. Transcriptions of the guitar tablature of study materials for the class will be provided. Register for this class here.